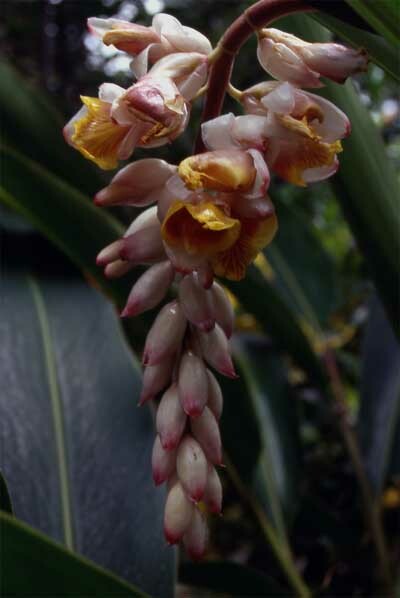 The shell ginger (Alpinia zerumbet) is a member of the ginger family. Native to Indonesia, it is now grown throughout the world as an ornamental. This specimen was under cultivation in southern Ecuador.